Furphy Refreshing Ale, the new Victoria-only beer from Little Creatures Geelong, was originally conceived by the Little Creatures founders, it has emerged. A blueprint for Furphy including the name, some notes on the beer’s style and its target audience survived from the previous ownership, Little Creatures head brewer Warren Pawsey told Australian Brews News. He said Little Creatures founders Howard Cearns and Nick Trimboli visited the Geelong brewery recently and were impressed with the final product. However, Cearns’ links with Furphy extend beyond the initial blueprint. Braincells, the Perth creative agency he founded and chairs, developed the visual identity for the brand and worked with Lion on the brand positioning strategy and its launch, according to a media report in February. In any case, Pawsey said people have been loving the beer since it became available in Geelong in August last year, and has since gone statewide. 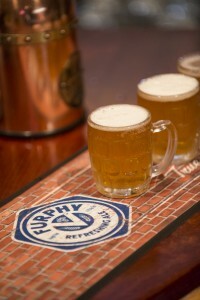 “I haven’t heard a bad thing yet about Furphy. People try it and they like it. It’s not got a demographic that locks it in, it’s an everyday beer for everyday people,” he said. Pawsey said the beer was inspired by the German Kolsch style, but the beer that eventuated is closer to an Australian Pale Ale. “The concept was for a beer that was subtle, more subtle than [Little Creatures] Pale Ale, and would appeal to most people,” he said. 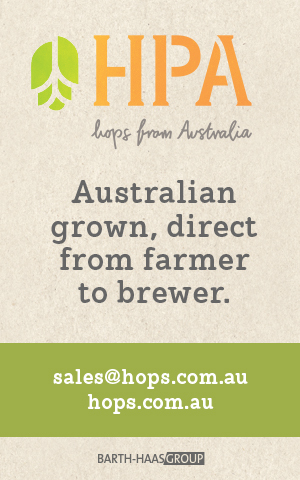 “It could be an Australian Pale Ale – it probably doesn’t have enough yeast character to be a classic Australian Pale Ale, but certainly in the breadth of interpretation of an Australian Pale Ale, you could call it that,” Pawsey said. 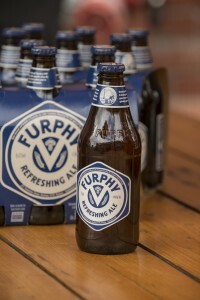 The beer was named after the Shepparton-based Furphy family, who supplied the fermenters and tanks to the Geelong brewery. It uses only ingredients from surrounding regions, with a malt bill that is mostly comprised of Vienna balanced with local hop varieties, Topaz and Vic Secret. “It is very Victorian, it’s got that little ‘V’ on it, it’s got the blue. I always said no-one in Queensland or NSW is going to drink this!” said Pawsey. With plenty of capacity of growth at the Geelong brewery, Pawsey said the Furphy brand was targeted to become its second high volume beer alongside Little Creatures Pale Ale, which currently represents 50-60 per cent of output.